According to business visionary and consultant Perry Marshall, “Good times breed bad habits. Bad times breed good habits.” Sage advice for just about any executive, across just about any industry. When business is booming, it’s easy to take the “it won’t happen to me” attitude – and ignore underlying factors that can erode your seemingly solid financial foothold. And sadly, it’s not until crisis is imminent that executives start to question operational missteps or deficiencies in leadership. In reality, many of these scenarios can be avoided with some basic awareness, along with a few best practices and procedures to keep that awareness top of mind. In this blog, we’ll take a look at the 6 most common scenarios I’ve seen that force companies to restructure – and I’ll share some solutions you can put into place to prevent them from happening. The scenario: You’ve established a solid foothold in a competitive marketplace. Your product or service offering is well-received and well-adopted by your customers, and sales are steady. But your confident reliance on past and current performance means you’re giving little consideration to the future: you’re not anticipating the changes in your customers’ needs and behaviors – and all around you, your competitors are rising to the challenge. For fast-paced industries like tech, this happens particularly fast — but the same danger holds true for mature industries like automotive, retail and gaming. Invest in research and development. It’s a good idea to have a team solely dedicated to continuously improving upon your product or service – no matter the industry. While certain sectors are typically dedicated to innovation, a surprising number of industries are not. To stay competitive, every organization should have personnel dedicated to thinking about “what’s next?” and “how can we improve?” in order to anticipate marketplace shifts and respond to them accordingly. Conduct regular “WAR” meetings. On a regular basis (bi-monthly is good), top executives and key leaders should convene for “We Are Ready” meetings. This involves coming up with a range of predictions for a best-case, mid-case and worst-case scenarios for major initiatives and market changes. This meeting is absolutely essential – not only because it helps you put a plan in place for all the “what ifs” that accompany each scenario – but it keeps your team actively involved in thinking about organizational readiness. Hire the right kind of thinker. It’s not enough to simply fill spots on your engineering and product development teams. Innovation relies on employees who are both creative and critical In the interview process, think of some problem-solving “tests” that mine for these skills – and be sure to ask past references for specific examples. Capitalize on key business drivers. First, clearly identify your organization’s “pillars” of success. What are your key revenue goals? Are you increasing your number of subscribers? Penetrating new markets? Reducing marketing spend? Once these are established, foster innovation by continuously evaluating those pillars and refocusing goals around them. Put yourself out there (literally). Stay apprised of current trends and happenings in your industry. Find time in your schedule to attend industry forums, sales conferences, trade shows, and so on. Talk to your competitors, too. And always be sure to share your findings with your team. The scenario: You are a big thinker with a big vision – but problems arise when that “vision” is created in a silo. Unknowingly, you let personal bias weigh too heavily into your decisions; decisions that steer your business away from its core strategy. A quick example: you recently decided to penetrate a new market – which happens to be the same geographic area in which you just bought a home; and in reality, that new market is off-base with your typical demographic. Foster a democratic culture. No one person has all the skills and knowledge to lead an organization into long-term success. Strong leadership is about listening, and watching your surroundings. Implement regular meetings to garner open and honest feedback – from the board, from stakeholders, from key strategists — and be receptive to those who give it. Also tune into anonymous feedback: read reviews on Glassdoor.com or other social media platforms. Don’t deny there is a problem. There’s never a problem… until there is one. Just like identifying a medical symptom before it spreads, it’s vital to look for small signs that signify larger issues. Your team can help you do this — in fact, some firms actually require upward feedback to keep an eye on consistent problem areas. And if and when significant issues do occur, be sure to talk about them (this can be done in your “WAR” meeting). Analyzing mistakes or missteps will help you avoid them next time. Listen to the numbers. Every major operating decision deserves financial due diligence. Period. Above all, be sure to use a financial analyst (whether internal or outsourced) to prepare short- and long-term projections, break-even analyses, ROI analyses and so on. This key step can truly reveal whether or not major initiatives are financially sound. The scenario: You’re an owner-operated business who fills a number of roles in your organization based on familial ties. And while those employees are personally trusted and valued, you’re at a disadvantage to your competitor who is filling those same positions based on skillset. Additionally, compensation for those employees has been structured around personal needs rather than market averages. The cost inefficiencies add up quickly, and prove to be financially disastrous to your business. Go through the proper channels. No matter how closely related you may be to the applicant, it’s best to remove yourself from the hiring process all together. Turn it over to your human resources department, as they can make the best upfront determination on how qualified a candidate may be and the most current skills that the role requires. Additionally, when it comes to internal conflicts, HR should remain a viable channel to help sort out issues that arise. Your organization has grown from a small start-up to a large-scale organization. While business has grown rapidly and evolved, you’re still highly involved in small details (like signing every check and signing off on all payroll decisions). Despite having hired several skilled leaders and managers, you’re still “in the weeds” and unable to focus on what really matters: driving results for your core business. Revenue slips, there’s a cash shortage, and your focus now shifts entirely to liquidity – which only compounds the problem. Zoom out. Keep just enough distance to be able to answer the bigger question of, “Is this necessary and why?”– then make the call on whether or not an initiative truly adds value to your business. Executives who micromanage can easily get wrapped up in details that don’t directly drive their business – not to mention that this type of work style breeds an unhealthy culture, as employees don’t feel empowered to make any decisions on their own. Delegate – in good times and bad. It starts with carefully selecting and hiring the most qualified people. Then, arguably, comes the harder part — learning to rely on them. Delegate tasks. Give your team the time to strategize and present you with a range of solutions. For companies struggling with cash, it’s more important (and even harder) than ever to stay focused on driving business results – yet it’s vital to your recovery. In this case, consider hiring an outside consultant to help you manage costs, so you can stay at the helm as a leader. You’ve lead your company with great success in the past, but the technical skills and industry-specific knowledge has outpaced you. 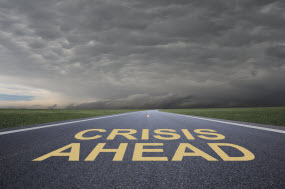 In contrast to the previous problem (being too detailed), you become overly reliant on key personnel, who as a result, are becoming increasingly strained. Employee satisfaction suffers, and the loss of those key personnel leads to sudden and significant deficiencies that make recovery difficult, if not impossible. Complete consistent technical training. Above all, stay current. What you learned twenty, ten, even five years ago may no longer apply, so you’ll need to stay personally apprised of new rules and regulations. Additionally, there may be industry-specific types certifications that didn’t formerly apply or exist. (For example, if your industry has seen a lot of investments and acquisitions, you may consider getting a certification in business valuation.) This type of technical know-how is dangerous to delegate, and undertanding how it impacts your processes and operations is vital. Stay actively involved. As mentioned previously, it’s important to stay involved by personally attending trade shows, conferences and other learning opportunities. You should serve as a teacher to your staff – and in order to teach something, you need to know it first. If you complete a certain type of training, for example, consider conducting training sessions to then teach your staff about it. Also, hold meetings to announce new updates and learnings and gather ideas from your team on how it affects your business. Let’s say, for example, you’ve learned about a new accounting pronouncement. Who will be impacted? How will the new requirements impact you, and should new processes be implemented? Your company has a steady foothold in a competitive marketplace. Business is growing and your financials are solid. Exciting times for you, but your employees feel otherwise. In the wake of the organization’s growth, your staff has not been effectively managed or motivated. Employees lack purpose and recognition, and feel there is no sense of progress or ability to advance, at both a skill level and monetarily. Avoid a culture of order takers. For every task that’s given, managers need to explain the “why” behind it. For your business to thrive, your staff needs to have purpose in what they’re doing. Empower them to be problem-solvers, with a good idea of how their efforts directly add value to the organization. Your employees should never answer the “why” question with “because I was asked to.” This creates the all-too-common “us versus them” culture; a mentality that hinders development and is simply not sustainable for long-term growth and success. Fostering this type of culture starts at the top, with executives and senior managers, and should be instilled throughout every layer of your organization. Empower through learning. Do any of your employees consider you a mentor? Do they think of you as a coach or a teacher? Find opportunities to personally teach them. Offer a range of new learning opportunities – anything from off-site enrichment courses, to online training or certifications, to informal “lunch and learn” sessions with other departments. Find creative ways to give your junior team members a voice, too: they can add invaluable perspectives to problems. Ask for feedback. Encourage questions, feedback and even challenges – and give your employees multiple channels in which they can provide this. This can be anything from office walk-ins, to anonymous employee satisfaction ratings, to company-wide Q&A CEO synch-ups. Review your policies. Are approval “policies” causing frustration with invoicing? Or are process “policies” causing a significant lag in turnaround time? It’s easy for departments (and even executives) to latch on to certain “corporate policies” that are never actually questioned, reviewed or evaluated – which can be extremely frustrating throughout various teams and departments. Be sure to have your managers surface and identify existing “policies” to make sure they are aligned with your current goals. Do you have the appropriate measures in place to prevent these fatal flaws from causing significant problems? Keep in mind, an interim consultant can help you take a step back and identify the deficiencies that can commonly lead to emergency restructuring. Give us a call at any time to set up a consultation – reach us at (855) 367 8020. Travis Kanafani has over 10 years of experience in corporate finance and strategy consulting helping clients navigate through complex financial issues and transactions. Prior to joining 8020 Consulting, he served as a Director of Finance at FTI Consulting specializing in providing turnaround, restructuring and transaction related services. His diverse industry experience includes entertainment, automotive, real estate, healthcare, gaming, food and beverage, financial services, and technology. His core competencies include strategic planning, financial modeling, forecasting and budgeting, corporate restructuring, due diligence, post-merger integration, valuation, financial statement preparation, and operational planning. He holds an M.S. in Finance and Accounting from the University of San Diego and a B.S. in Accountancy from the W.P. Carey School of Business at Arizona State University. He is an active CPA in California and a Certified Insolvency and Restructuring Advisor.